Regent Street is a major shopping street in the West End of London. It is named after George, the Prince Regent and was built under the direction of the architect John Nash. The street runs from Waterloo Place in St James's at the southern end, through Piccadilly Circus and Oxford Circus, to All Soul's Church. From there Langham Place and Portland Place continue the route to Regent's Park. The street was completed in 1825 and was an early example of town planning in England, replacing a number of earlier roads including Swallow Street. Nash's street layout has survived, although all the original buildings except All Soul's Church have been replaced following reconstruction in the late 19th century. The street is known for its flagship retail stores, including Liberty, Hamleys, Jaeger and the Apple Store. The Royal Polytechnic Institution, now the University of Westminster, has been based on Regent Street since 1838. 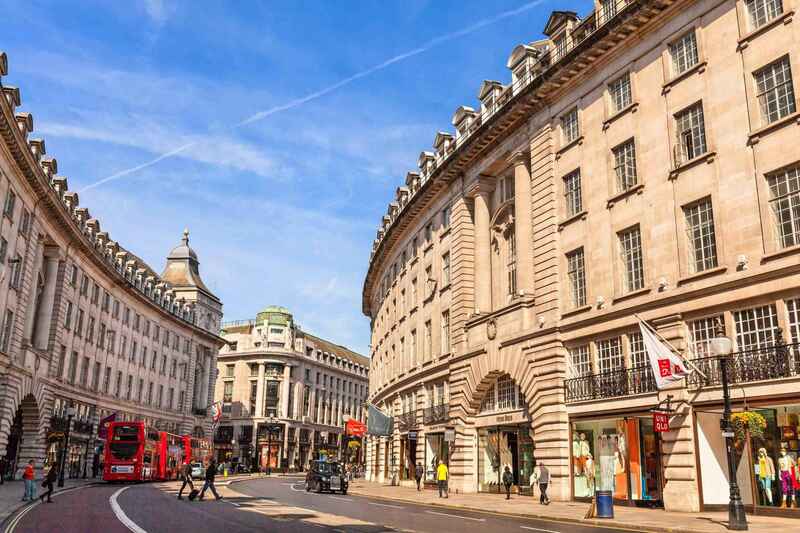 Regent Street is approximately 0.8 miles (1.3 km) long and begins at a junction with Charles II Street as a continuation of Waterloo Place. It runs north to Piccadilly Circus, where it turns left before curving round the Quadrant to head north again, meeting Oxford Street at Oxford Circus. It ends at a junction with Cavendish Place and Mortimer Street near the BBC Broadcasting House, with the road ahead being Langham Place, followed by Portland Place. The southern section of the road is one-way northbound and part of the A4, a major road through West London. From Piccadilly Circus northwards, it is numbered A4201, though in common with roads inside the London congestion charging zone, the number does not appear on signs. Nearby tube stations are Charing Cross, Piccadilly Circus and Oxford Circus; the latter being one of the busiest underground stations in London, and is where three main lines (Central, Bakerloo and Victoria) meet. Numerous bus routes, such as 6, 12, and 13, run along Regent Street. 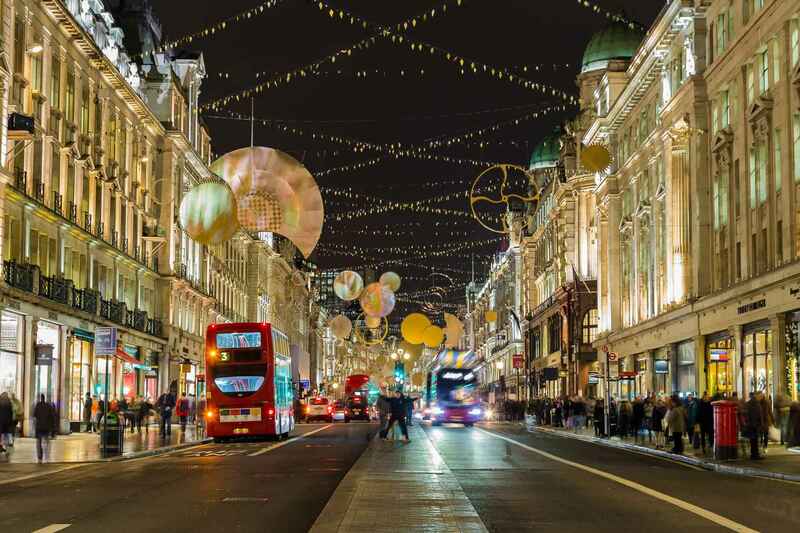 Regent Street | eTips Inc.